Simon excels at offering individually tailored tuition to every rider from Intro to Four Star competition standard and has trained, amongst others, Virginia Howe (CCI**** and British U21’s), Alice Plunkett (CCI****), Nessie Lambert (CCI***) and Evie Paterson (CCI** British U21’s). 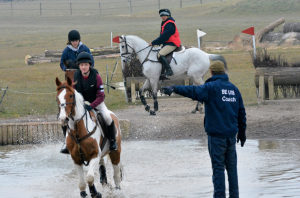 He has been Senior Pony Club Trainer and Selector for the Heythrop Pony Club from 1987, and has trained numerous winning teams and individuals at the Pony Club Championships. 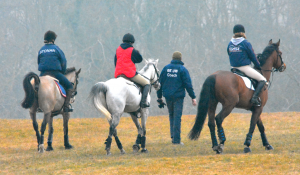 Simon is available to teach either from his base or will travel locally or further for a group of riders. Simon is also a qualified counsellor and this experience enables him to be the perfect mentor for horse and rider. As well as training the rider, Simon’s experience and facilities enable him to offer the best possible training for young horses. The ideal opportunity to keep your eye in and train your horse over the winter at an affordable price. 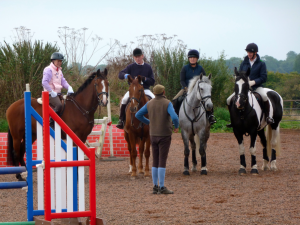 Simon is offering regular Saturday training clinics at his yard, to help you get ahead for the season and locate areas to work on, whilst giving confidence and inspiration to all riders. Consistent training will pay dividends when the season starts and Simon offers private flatwork lessons for 45 minutes (£40) or small groups for gridwork and show jumping for 1 hour (£30 each). Please email simon.lawrance@talktalk.net or telephone 07799 414154 if you would like to participate. 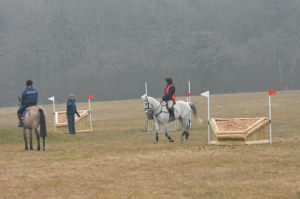 Simon Lawrance's instruction and considerable knowledge has been of huge benefit to the Heythrop Hunt Pony Club for over 20 years. His lively encouragement and excellent tuition have helped many children achieve their goals. Simon's attention to detail with the horses and me was second to none. I always felt that nothing was too much trouble and that no stone was left unturned.